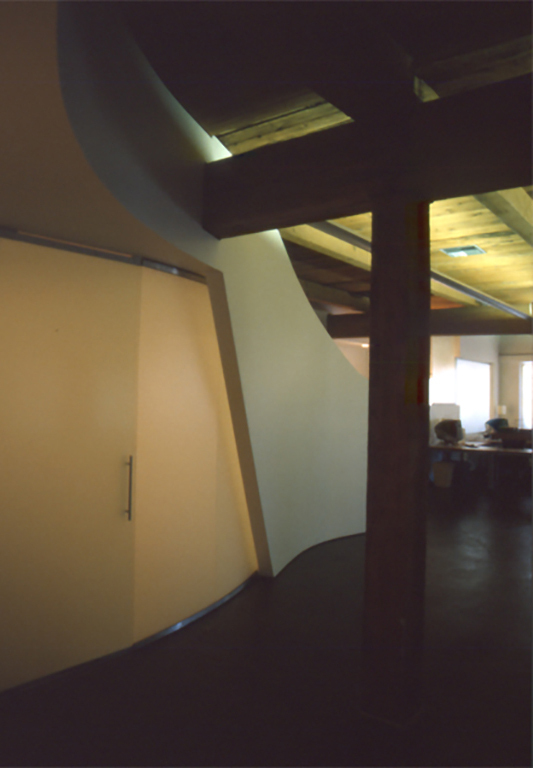 An office space for a small graphic design firm in downtown Seattle. 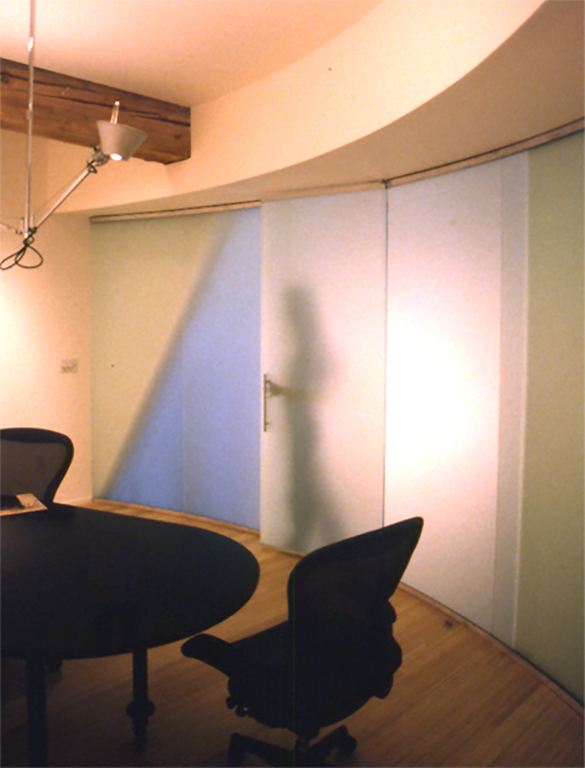 Located in a historic commercial building, the original materials were exposed, cleaned and refinished to establish a frame for the modern interior. 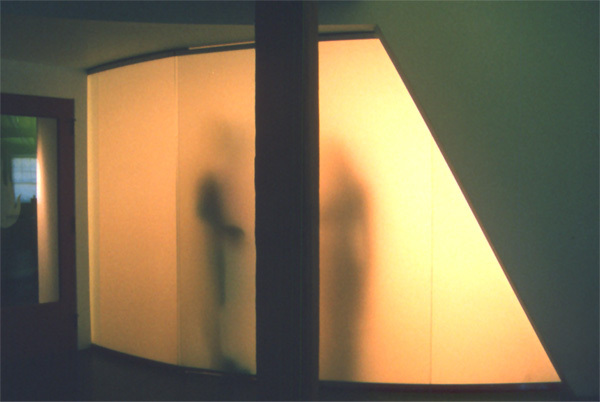 Two dimensional materials, sheets and surfaces transformed into spaces and three-dimensional form. 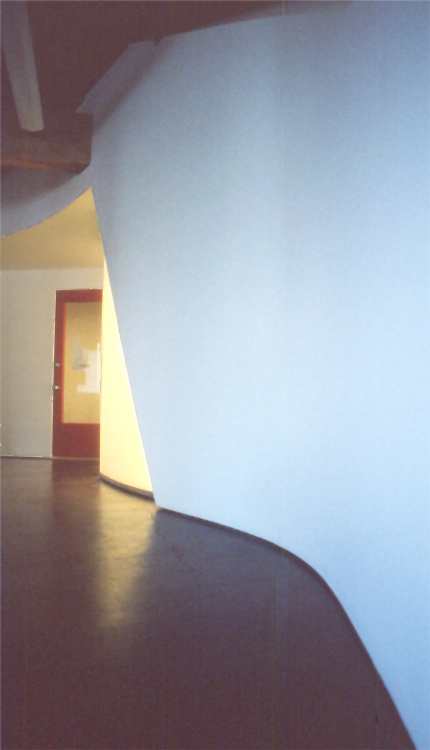 Layering, bending and folding to create spaces and optical effects. 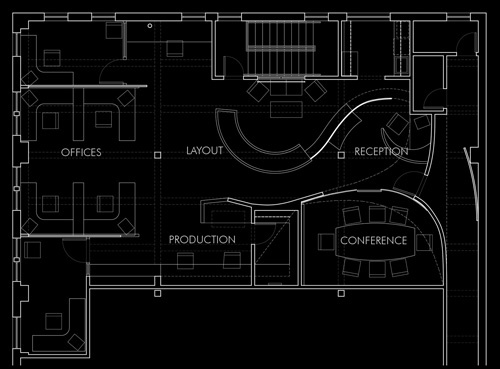 Maintaining a unified office environment while establishing layers of visual and acoustical privacy, use and access.